Lime green twinkle satin bodice, with striking leopard print and gold sequin sleeves and top of bodice with black embroidered accents. 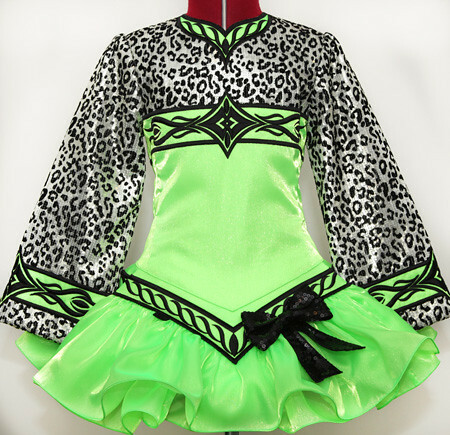 Modern style skater skirt constructed from matching lime green twinkle satin. Gorgeous black sequin bow attached to left side of dropped waist point. Stiff leopard print sequin shawl with matching embroidery.